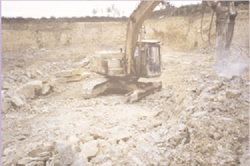 Is there a design for your quarry? 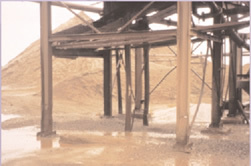 Has it minimised the health and safety risks of extracting the minerals at that site? The design will set out the direction and height of the faces, the type of equipment you will use, the position and widths of haul roads, and the control measures necessary to ensure the health and safety of all who work there or are affected by the working such as the public. Geotechnical features of the site. The geology of the deposit will determine how it will be worked. What is the likely way in which faces may fail? How high should faces be. 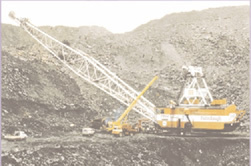 On this site the geotechnical features preclude the use of open faces for blasting. This controls the face height and type of equipment used. What about the proximity of the public, schools, footpaths, bridle ways etc. 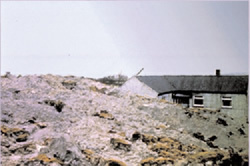 In this photo houses were hit by fly rock from the quarry. The quarry needs to consider the direction it fires its faces or use of other precautions such as nets. 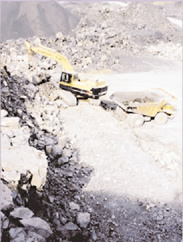 The quarry needs to be designed and the extraction limits, defined by the geotechnical reports. 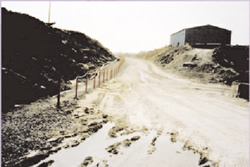 Here a quarry has been worked too close to the road removing the fence as well. 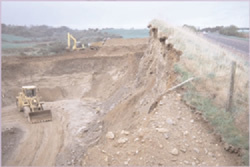 Do you know the excavation limits, are they set out in the tip and excavation rules? 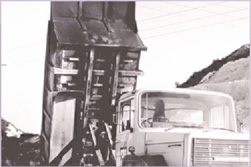 The driver of this truck was killed when the skip was raised to do maintenance on the truck. Power lines should be moved or protected as set out in guidance note GS6. The use width, condition and inclination of traffic routes, taking account of pedestrian safety and the type of mobile plant used. Here an area is set aside for pedestrians to keep them away from the road traffic. 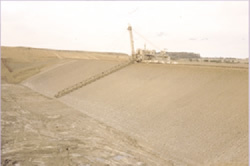 The siting and building of tips including stockpiles, lagoons and related structures and their stability. This photograph shows a house that was engulfed when a tip moved across a road. 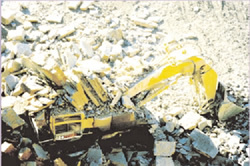 The risk to health from the materials being worked should be considered. 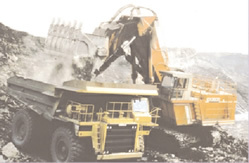 Here silica is present in the rock mass, suitable extraction equipment is provided, saw cabin protects from the operators from noise with positive pressure to keep dust out of the cabin it is kept clean. What plant will be required. This should ensure that both the fixed and mobile plant is suitable for the conditions that prevail. Here the design has also incorporated the use of a drag line. 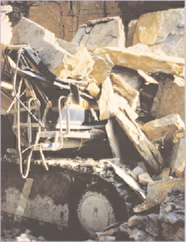 This machine is designed for extraction of clay and the quarry face design and the machine are suitable for each other. 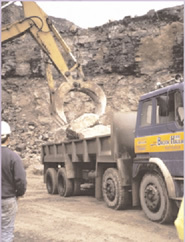 Here block handling plant has been hired to load road lorries with armour stone. 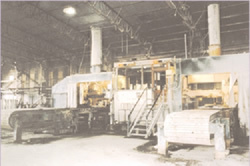 The safe use and maintenance of plant and machinery. This machine is working with track and running gear missing. 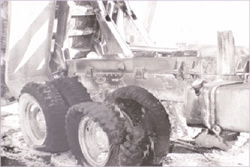 It could be a loading shovel or dump truck which has run away because the brakes were not maintained. 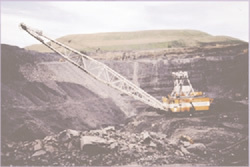 The maintenance of plant is fundamental to the safe operation of a quarry. 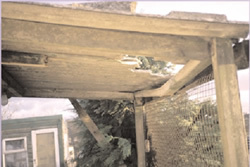 Here a plant is showing levels of corrosion and distortion to its structure because it has not been maintained. 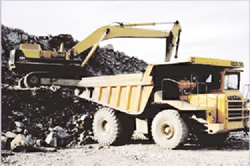 Maintenance applies to all equipment in a quarry including the electrical installation.